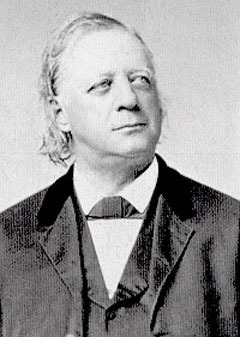 Beecher at once became a recognized leader. On the all-absorbing question of slavery he took a middle ground between the pro-slavery or peace party, and abolitionists like William Lloyd Garrison and Wendell Phillips, believing, with such statesmen as William Henry Seward, Salmon P. Chase, and Abraham Lincoln, that slavery was to be overthrown under the constitution and in the Union, by forbidding its growth and trusting to an awakened conscience, enforced by an enlightened self-interest. He was always an anti-slavery man, but never technically an abolitionist, and he joined the Republican party soon after its organization. In the earlier days of the agitation, he challenged the hostility which often mobbed the anti-slavery gatherings; in the later days he consulted with the political leaders, inspiring the patriotism of the North, and sedulously setting himself to create a public opinion which should confirm and ratify the emancipation proclamation whenever the president should issue it. When danger of foreign intervention cast its threatening shadow across the national path, he went to England, and by his famous addresses did what probably no other American could have done to strengthen the spirit in England favorable to the United States, and to convert that which was doubtful and hostile. In 1861-63 he was the editor-in-chief of the Independent, then a Congregational journal; and in his editorials, copied far and wide, produced a profound impression on the public mind by clarifying and defining the issue. Later (in 1870), he founded and became editor-in-chief of the Christian Union, afterwards the Outlook, a religious undenominational weekly. His lectures and addresses had the spirit if not the form of his sermons, just as his sermons were singularly free from the homiletical tone. Yet his work as a reformer was subsidiary to his work as a preacher. He was not indeed a parish pastor; he inspired church activities which grew to large proportions, but trusted the organization of them to laymen of organizing abilities in the church; and for acquaintance with his people he depended on such social occasions as were furnished in the free atmosphere of this essentially New England church at the close of every service. But during his pastorate the church grew to be probably the largest in membership in the United States. It was in the pulpit that Beecher was seen at his best. His mastery of the English tongue, his dramatic power, his instinctive art of impersonation, which had become a second nature, his vivid imagination, his breadth of intellectual view, the catholicity of his sympathies, his passionate enthusiasm, which made for the moment his immediate theme seem to him the one theme of transcendent importance, his quaint humor alternating with genuine pathos, and above all his simple and singularly unaffected devotional nature, made him as a preacher without a peer in his own time and country. His favorite theme was love: love to man was to him the fulfilment of all law; love of God was the essence of all Christianity. Retaining to the day of his death the forms and phrases of the New England theology in which he had been reared, he poured into them a new meaning and gave to them a new significance. He probably did more than any other man in America to lead the Puritan churches from a faith which regarded God as a moral governor, the Bible as a book of laws, and religion as obedience to a conscience to a faith which regards God as a father, the Bible as a book of counsels, and religion as a life of liberty in love. The later years of his life were darkened by a scandal which Beecher's personal, political and theological enemies used for a time effectively to shadow a reputation previously above reproach, he being charged by Theodore Tilton, whom he had befriended, with having had improper relations with his (Tilton's) wife. But in the midst of these accusations (February 1876), the largest and most representative Congregational council ever held in the United States gave expression to a vote of confidence in him, which time has absolutely justified. Not a student of books nor a technical scholar in any department, Beecher's knowledge was as wide as his interests were varied. He was early familiar with the works of Matthew Arnold, Charles Darwin and Herbert Spencer; he preached his Bible Studies sermons in 1878, when the higher criticism was wholly unknown to most evangelical ministers or known only to be dreaded; and his sermons on Evolution and Religion in 1885, when many of the ministry were denouncing evolution as atheistic. He was stricken with apoplexy while still active in the ministry, and died at Brooklyn on the 8th of March 1887, in the seventy-fourth year of his age.